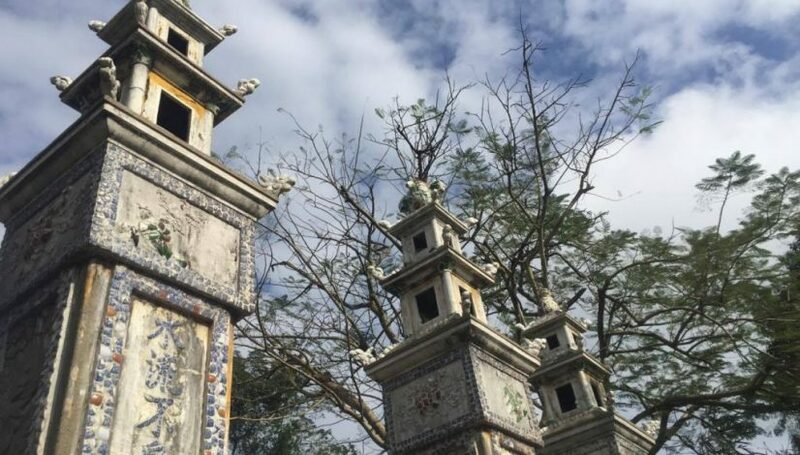 Last week the VCBT-N team headed north to Hue to scope out some new community based tourism (CBT) projects and are we are delighted with what we found! With the aim of connecting CBT stakeholders in Vietnam, we met with Andy (Nguyen Dinh An), director of Hue Cua Ta, a tour operator and developer of CBT. 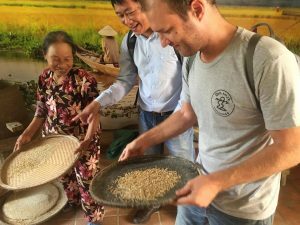 Andy has been working with three villages in central Vietnam to bring tourists unique travel experiences that benefit communities directly. 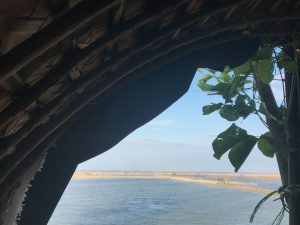 Although project development is still underway, there is great potential for these sites to achieve the aims of CBT, which include profit sharing, environmental conservation, cultural preservation and the general betterment of the community. Our first stop was Thanh Toan tile roofed village, just outside of Hue’s city centre. With an agricultural museum in operation and a historic covered bridge, the village already has some key points of interest and receives over 300 visitors daily. With the support of the VCBT-N, Andy is hoping to create space for a cooking class and centralise the key attractions into a hub of cultural activity as well as create new jobs for maintenance and boat tours. 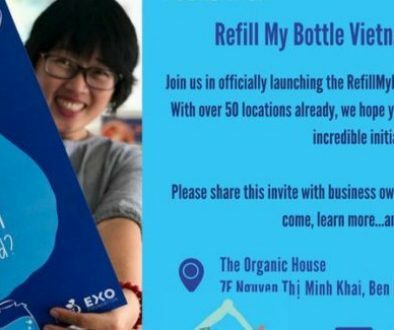 Using a cooperative model for Thanh Toan individuals and business, the site has huge potential to increase the socioeconomic benefits of tourism for all those who contribute. 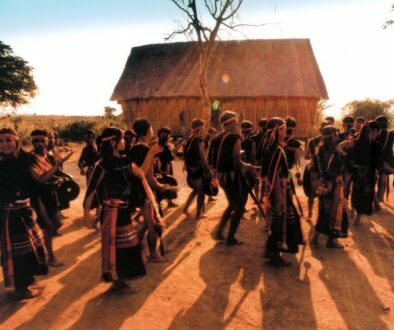 Subsequently, tourists will have the chance to experience the key aspect of daily village life, from food to farming methods, artisan handicrafts to traditional games and more in one integrated and cooperative space. Demonstration of rice sieving – it is hard as it looks! 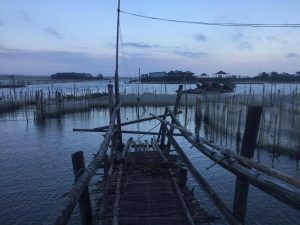 Next up was a visit to a homestay in a neighbouring fishing village of Dam Chuon. Although not completely finished, the homestay has all the essentials for their first guests: a toilet, water heater, mattresses and a well trained, friendly host. A stay there promises to deliver on authenticity as visitors will share the living space with a local family, eat local food and even have the chance to go fishing like a local. 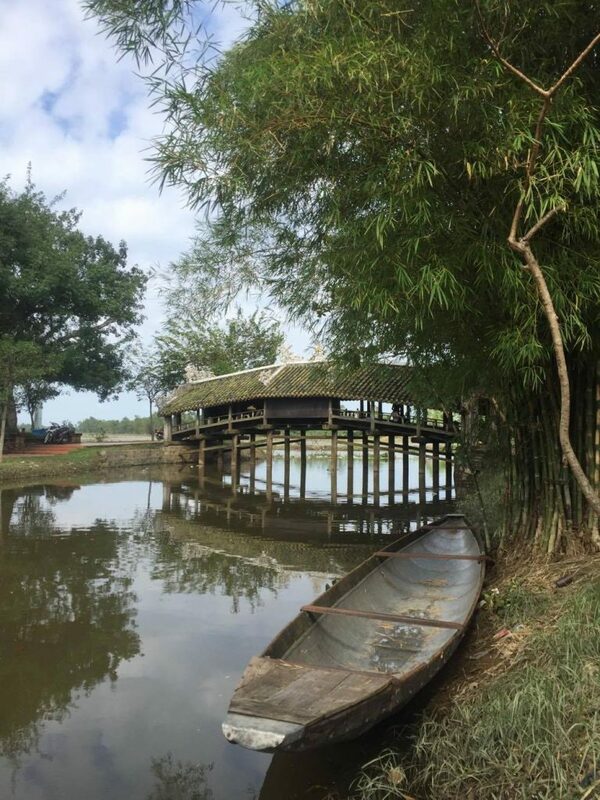 VCBT-N is excited to be working with Andy to launch a full range of tours to include a boat trip, traditional handicraft demonstrations, rice wine making and even a cooking class in the future. Who wouldn’t want to wake up to this beautiful view? With some more projects in the pipeline, Andy will play a key role in working with the VCBT-N to develop and expand CBT in the region. We are so excited to be working with such passionate people and cannot wait for our next launch—coming soon!